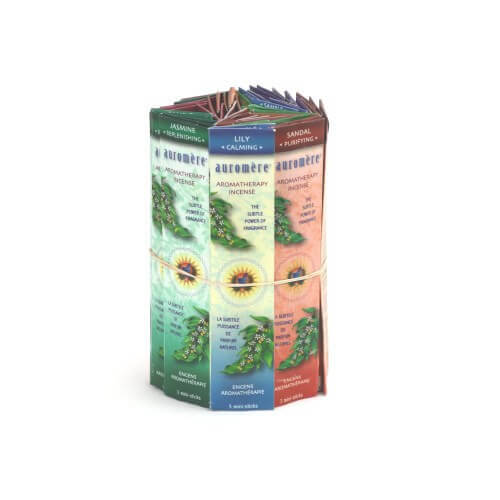 View cart “Sample-size Aromatherapy Incense – AMBER – Centering” has been added to your cart. The mini-sample bundle contains 50 sample-size packets. Each individual incense packet contains 3 mini-sticks. The Aromatherapy fragrances include: Amber, Indian Cedar, Jasmine, Lavender, Lily, Patchouli, Rose, and Sandal.